Christie’s latest sale in New York saw white Burgundy from Domaine de la Romanée-Conti and rare Macallan top the billing with a string of new records. 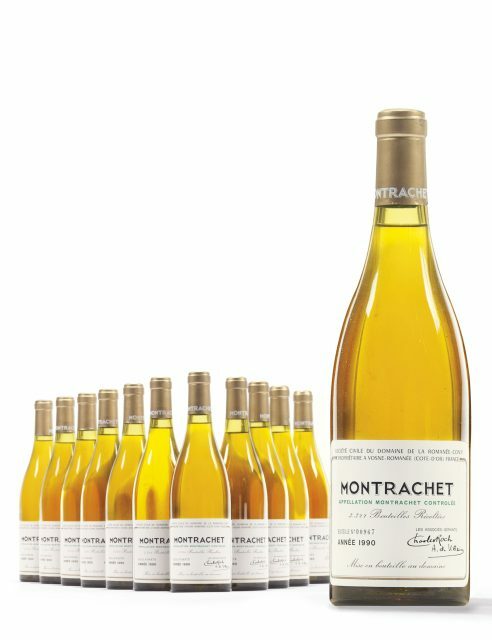 A 12-bottle case of DRC’s 1990 Montrachet topped proceedings, realising US$104,125 (£77,763) at the sale held over 14-15 June. Several other lots of the famed Burgundian estate set new global records at the sale as well, including: six bottles of 2000 La Tâche (US$24,500); 12 bottles of 2011 La Tâche (US$42,875) and 12 bottles of 2002 Echézeaux (US$22,050). Other wines setting records were 12 bottles of Georges Roumier’s 2005 Bonnes Mares (US$30,625) and a rare full dozen of Bollinger’s 1961 R.D. (US$11,638). Two other big lots of the sale were Lalique decanters of 55 and 57-year-old The Macallan which set new records at US$79,625 and US$73,500 respectively. Scotch whisky is currently booming at auction, especially The Macallan which has swiftly become the collectible Scotch whisky on the auction circuit. Sotheby’s recently reported that sales by value of The Macallan rose 4,000% last year.